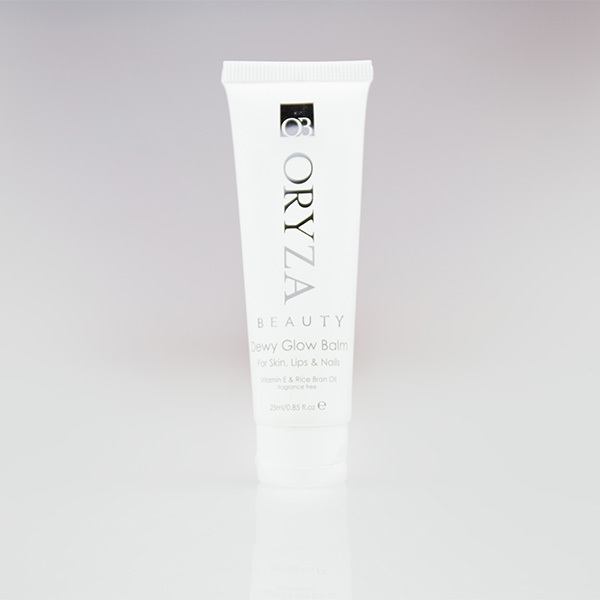 Dewy Glow is THE protective skincare Beauty Balm for sensitive skin. 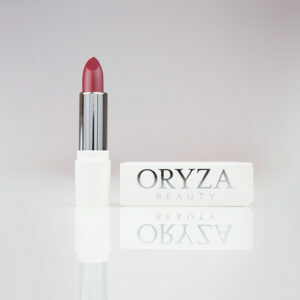 Oryza Beauty is 100% cruelty-free. I received this in my May Ipsy bag. I absolutely love it! It has saved my extremely dry skin & helps my makeup look more even. A little goes a long way. The teeniest amount, tapped onto high points of the face give the “glass skin” look, effortlessly. Love this on my lips. A little goes along way. I received this product as a sample in my monthly makeup subscription and after only a couple of days I knew I had to buy this product. Something I never do. It’s very lightweight and I don’t have to keep reapplying like most lip products. This does its job. I recently receive this on my monthly make up scription. It a must have I been looking for something that help my skin quench this is perfection. I currently been using it for a week my skin looks hydrated best part I haven’t had any break out. I will be purchasing this in the further it’s currently my life saver. I really love this Balm, esp the dewy glow part! I put it on my lips and cheekbones, it does a marvelous job highlighting them, the backs of my hand, clavicle bone, and tops of my shoulders, when wearing a tank dress or strapless. Thank you I do hope there is more in the one I purchase than the one I received in my Ipsy bag!! I received this in my Ipsy bag. It is amazing! The first night I used it I woke up and could not believe it. I have been fighting deep creased around my lips and chin, none of the deep line facial correctors have worked. This stuff made a huge difference in my creases. It plumped them right up! I am purchasing this now! I got this in my Ipsy bag, buying two today! Love balm.. I only wish it was bigger! One for desk one for home. Ordered immediately after i tried it! I received this in my epsy bag as well. I absolutely love this product! And I have tried alot of different products. It makes my skin so soft and it’s not sticky or oily it’s just perfect. Can you please make it in a bigger tube? I would order one fo at home and love the small tube for travel or in my purse..
Omg! I love this product. It’s a perfect beauty find. I’m just wondering if I should apply under my foundation for that Dewey glow makeup look or on top and dab. No matter , I love it. Someone posted that it helped deep creases. I have those. Do u apply it directly to creases or just use over entire face? Someone asked about using under foundation. I tried that today and am extremely satisfied wirh the results. Ive used shimmer powders, luquid shimmer, and they made me look older, it accentuated my wrinkles. Prob works on younger skin but im 50. I love this stuff. Just wish it had a light fragrance to it but it sure does work! Let me tell you something about this product. I’ve never heard of the company before nor about its products. I received this balm in my Ipsy bag. During this time, I was starting to go through another round of my newfound eczema (or something like it) on my stomach and elbows that suddenly sprung up on me this year. On a whim, I decided to put a little bit of this balm on my affected areas at least once a day whenever I remembered, This blessing of a balm, after about 4-5 days, repaired my flaking skin, eliminated the itchiness, and kept those horrifying-looking bumps all over my stomach at bay. This eczema-like thing crept up on my this year even though I’d been without it my whole life and I had no idea what to do to fix it. I hated looking down at my stomach and seeing the scars from the bumps that spread after I itched them. This balm hasn’t removed those scars, but it’s diminished their look drastically. 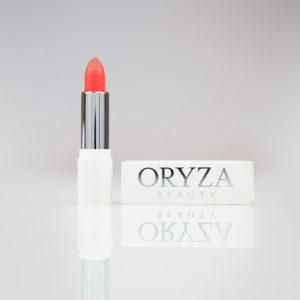 Thank you Oryza Beauty for being the savior I needed. I’m definitely repurchasing. I’m obsessed with this balm. My face has never been this smooth and hydrated after I started using this product! I will say a little goes a long way and this tube lasts quite a while with daily use. I received this in my Ipsy bag as well & I love it!! I use it as a makeup primer as well as a lip balm. It definitely gives your makeup that perfect glow! I also agree with others when they say a little goes a long way I’ve been using this bottle for 3 months and I still have probably a good 2 months worth left definitely will be buying!! The best !!! I love this product !my skin is so sensitive for many products, but this one works very well for my skin, I can not live without this.